The XL gives you 836 sq. in. of cooking surface, providing you with enough cooking space to turn your backyard into party central. Cook up to 24 chicken quarters or 16 racks of ribs at once! The XL's dual firepot design provides exceptionally balanced heat inside the large cooking chamber. 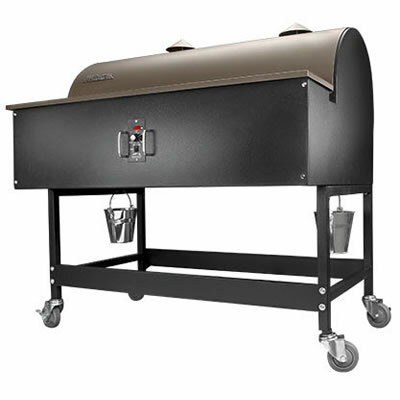 Comes equipped with Traeger's auger-fed burner, electronic autostart ignition, and EZ-drain grease system.